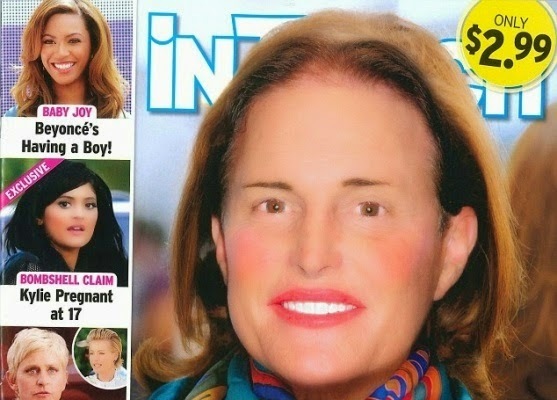 Bruce Jenner is on the cover of the upcoming InTouch magazine photoshopped with makeup to look feminine. 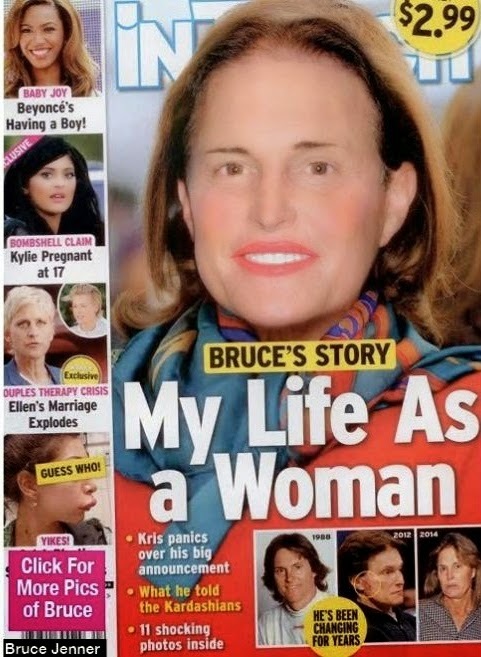 Supposedly, while Bruce hasn't responded to the magazine, his ex-wife Kris Jenner is said to be very angry about it. According to Intouch Bruce Jenner will come out clean this year. They said the final step in Bruce Jenner's transition to womanhood is officially underway. Gawker notes that Bruce Jenner has never officially said he’s transitioning from male to female, but In Touch implies he already told his family he was going to transition, and has been doing so over the years..